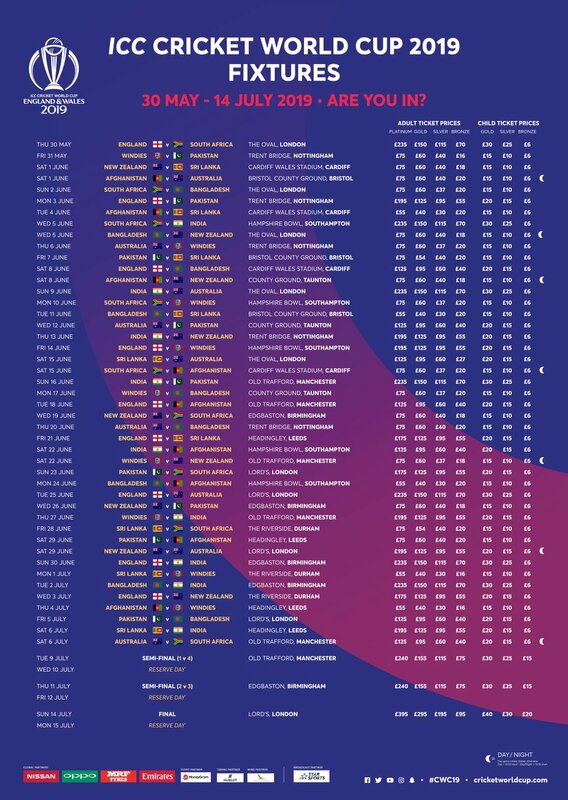 Dubai, International Cricket Council has announced the final schedule of the mega event in cricket, ICC Cricket World Cup 2019 and this event will be played in the cities of UK, England and Wales from 30 May 2019 to 14 July 2019. According to the details of the mega event, the ten top teams of the world will play with each other during their league stage. 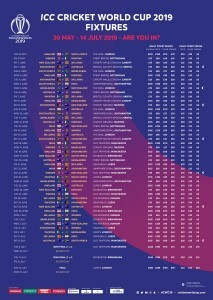 The top 8 teams are added with the two qualifiers, which are West Indies and Afghanistan. The top four teams on the points table will contest for the semi final matches. The event will be started with the opening match between South Africa v England, which will be played on 30 May 2019 at Oval. 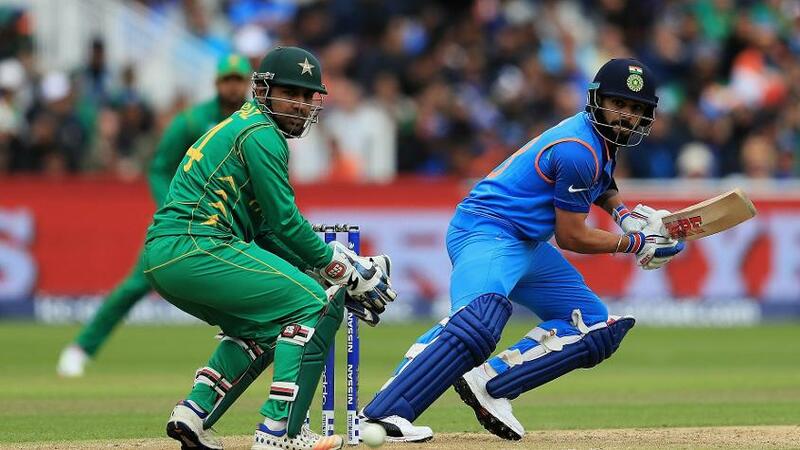 Pakistan cricket viewers will check the complete schedule of the matches of Pakistan with other teams of the world during the ICC Cricket World Cup 2019. The semi finals of the mega event will be played on 09 and 11 July 2018 and the reserve days are also announced for the two semi finals and final of the Cricket World Cup 2019. The two semi final winner will face each other at the historical cricket stadium of cricket, Lords on 14 July 2019. Pakistani cricket team has started the preparation to fight against its opponents and the team is also in high morale. The players will show their performance during the matches. The leading and prominent players will be exciting to become part of the national team and they hope that they will show their performance and they will prove their skills. 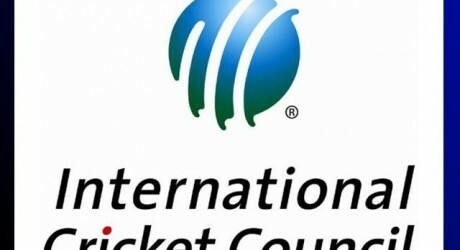 ICC has also announced the rates of the tickets of the matches and the cricket fans will get the tickets from £20 to £50. The immigrants of different countries will be present there and they will support their teams during the matches.